The company, under regulator pressure and after increasing public clamor to do so, made a fateful decision: Purdue reformulated OxyContin into a new pill that needed to be taken whole. If smashed, the drug turned into a gummy mess that was supposed to deter abuse. The unintended result, however, was to send opioid abusers off to seek another similar high. This launched the next deadly and still-running phase of the drug and overdose crisis, as users turned to heroin and fentanyl, a super potent, synthetic opioid. Overdoses, including of heroin and especially of fentanyl, killed more than 70,000 Americans in 2017 alone, and they have become a leading cause of death for Americans younger than 55. 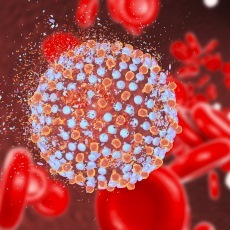 The hepatitis C virus causes liver disease and is responsible for more deaths in the United States than any other infectious disease, accounting for 20,000 deaths in 2015. While the rate of new hepatitis C had remained steady for several years, the infection rate began rising at an alarming rate beginning in 2010. Injection drug use has consistently been identified as a predominant risk factor for hepatitis C, leading experts to consider whether the opioid epidemic might be a driver of the recent rise in the infection … [S]tates with above-median OxyContin misuse prior to the reformulation experienced a 222 percent increase in hepatitis C infections after reformulation, while states with below-median misuse of OxyContin experienced a 75 percent increase in hepatitis C infections over the same period. Before the reformulation, there was almost no difference in hepatitis C infections rates across the two groups of states. In my practice, I see not only the harms that patients suffer while seeking medical services, but also the damage that can be inflicted on them and their loved ones by prescription medications and their skyrocketing costs and by dangerous drugs, notably in recent times opioid painkillers. It took us a while — with plenty of blame to go around for Big Pharma, doctors, hospitals, insurers, and other providers — to crash into an opioid crisis. Medical advances, in the meantime, have created, in effect, a cure for hepatitis C.
But the anti-viral regimen to lower the infection to undetectable levels takes time and has been costly, with California officials at one point estimating they needed to set aside more than $1 billion just to cover the drugs to treat infected patients on Medi-Cal, the state’s Medicaid program. Drug makers recently have begun to sell “authorized generic” versions of the anti-hepatitis C medications. These have sent the treatment cost plunging from their highs of as much as $95,000 per patient to potential lows of $24,000. This is unacceptable. We’ve got a lot of work to do, and all the parties responsible for plunging us into the mess — including the philanthropic Sacklers — need to stop their finger-pointing and denial, and get behind ways to attack this drug nightmare.